What to do in July in Oxfordshire in 2012? Firstly, Happy 4th July to all American readers! As we are at the start of July, we thought it was time to look at what is on this month in Oxfordshire. There is an awful lot coming up in this first weekend, and a lot of it is based around this year being the 150th anniversary of Lewis Carroll’s first telling of Alice’s Adventures in Wonderland. Saturday (7th July) will see the fifth successful year of Alice’s Day across the city. This includes exhibitions, a ten-minute musical, storytelling, a treasure hunt, an Alice flotilla, giant chess and croquet, a Mad Hatter’s tea party, walks and talks and talking flowers! Oxford’s Moonlight Stroll is taking on an Alice theme this year too, with participants dressing up as characters from the story. There will be a small stall set up outside Oxford letting agents, Finders Keepers Summertown office – a short distance from the finish line. We’ll be cheering on all the walkers, and may even be handing out a treat or two! On Sunday (8th) there will be a Caucus Race in Christ Church meadow, fuelled by dance, live music, circus and street performers and the people of Oxford. You can join in with the dancing, singing and playing, or you can simply watch and enjoy. 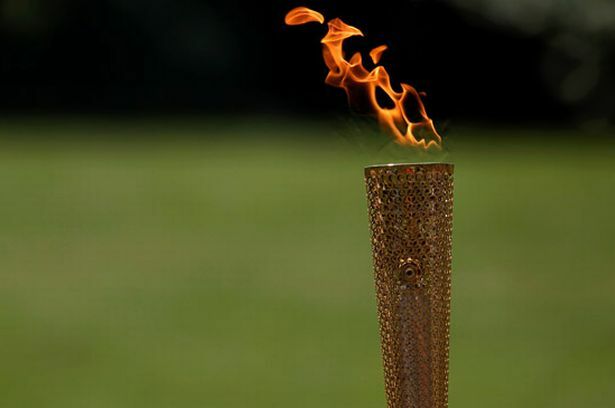 We are sure that you will already be aware of the Olympic Torch passing through Oxfordshire in the coming days. It will come through the city on Monday afternoon, ending with a massive event at South Park in East Oxford on Monday night, including the reveal of The Tree of Light. It promises to be ‘one of the most exciting spectacles the region has ever seen’ with music, light, dance and theatre for the whole family. July also sees the return of open-air Shakespeare. The Creation Theatre are performing The Merchant of Venice at the Said Rooftop Amphitheatre from 7th July up until 1st September and Oxford Shakespeare Company are celebrating their 10th anniversary by performing A Midsummer Night’s Dream at Wadham College garden from now until 26th August. For more light-hearted theatre, Legally Blonde comes direct from the West End to Oxford’s New Theatre from 17th-19th July. We’d recommend booking early for this award-winning musical! That’s our round-up of what to do in Oxfordshire in July (with a little help from our friends at Oxford Inspires)! Have an enjoyable month and we’ll catch up in August.